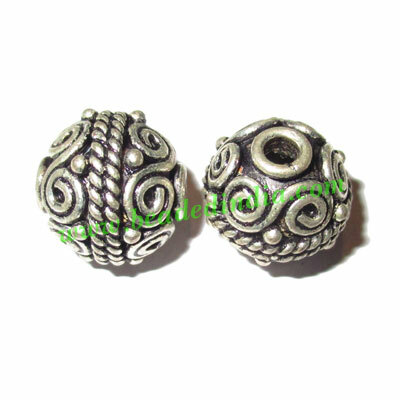 Sterling Silver .925 Fancy Beads, size: 13x14mm, weight: 4.34 grams. Silver Plated Caps, size: 5x10mm, weight: 0.77 grams. Flat Suede Leather Cords 5.0mm, Color - Light Turquoise. Sterling Silver .925 Caps, size: 5.5x11.5mm, weight: 1.37 grams. Copper Brushed Beads, size: 18x13x9mm, weight: 2.2 grams.